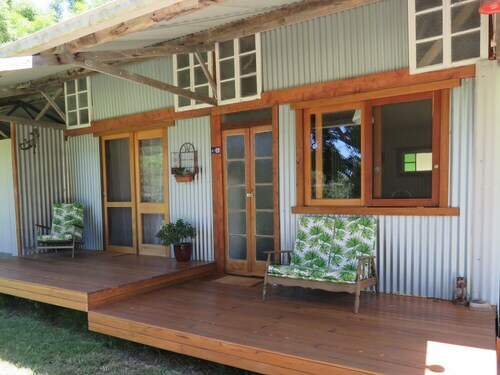 Situated in Clunes, this cottage is within 12 mi (20 km) of Bangalow Market, Bangalow Historical Museum & Tea Rooms, and Whian Whian State Conservation Area. Killen Falls and Macadamia Castle are also within 12 mi (20 km). Unsuitable for us. Despite being named a beach house the unit we booked had no kitchen or mirror in bathroom which was down rickety stairs. Management were good enough to allow us to leave after 1 night and forego the next 2 booked days. 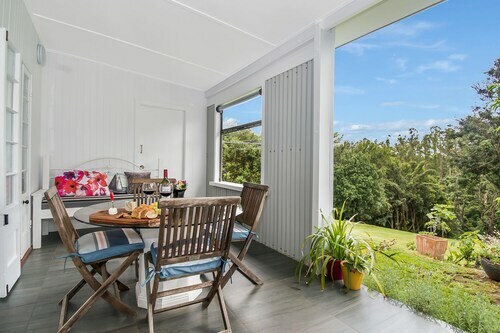 Situated in The Pocket, this cottage is 6.6 mi (10.7 km) from North Byron Parklands and 8.3 mi (13.3 km) from Torakina Park. 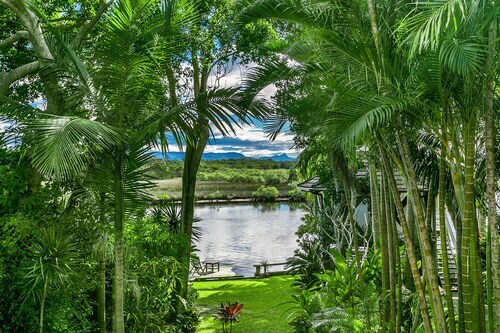 Crystal Castle & Shambhala Gardens and Tyagarah Nature Reserve are also within 16 mi (25 km). 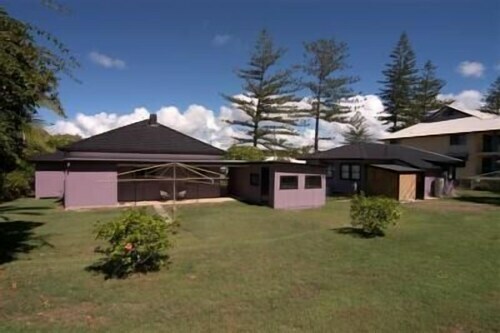 Situated in a rural location, this cottage is within 6 mi (10 km) of Killen Falls, Macadamia Castle, and Bangalow Market. 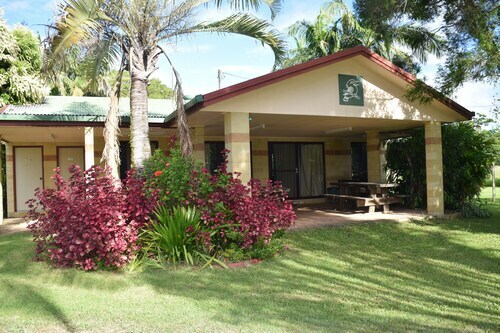 Tallow Beach and Bangalow Historical Museum & Tea Rooms are also within 9 mi (15 km). Great location, great view! Very friendly and helpful management. 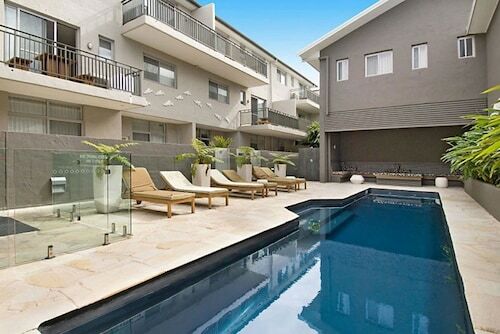 The apartment has everything you need including an extremely comfortable bed. Highly recommend! Nice neat little cottage tucked away in the scenic hinterland. The cottage is a quaint hidden gem perfect for getting back in touch with all the little things in life we take for granted. Nestled in a splendid setting, free from the distractions of our busy lives it offers up a great way to recharge your batteries . 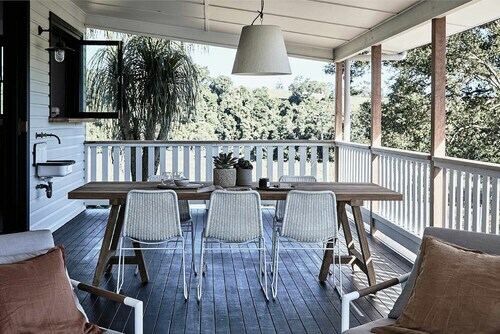 Nestled on the beach, this Byron Bay cottage is just steps from Arakwal National Park and Cape Byron Lighthouse. Wategos Beach and Clarkes Beach are also within 1 mi (2 km). 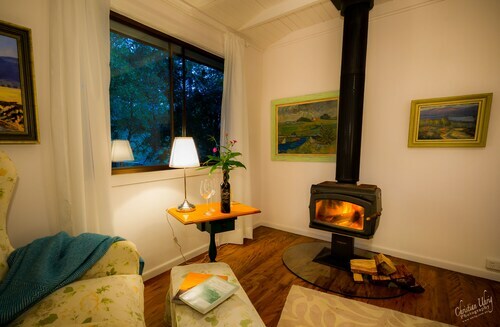 Situated in Repentance Creek, this cottage is close to Minyon Falls. 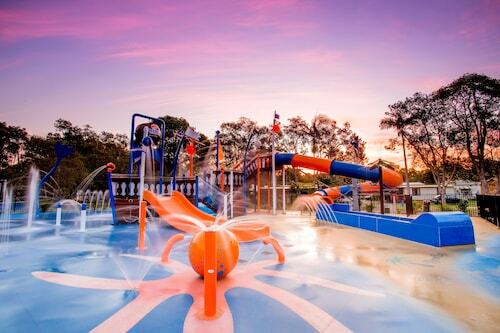 Area attractions also include Rocky Creek Dam and Crystal Castle & Shambhala Gardens. 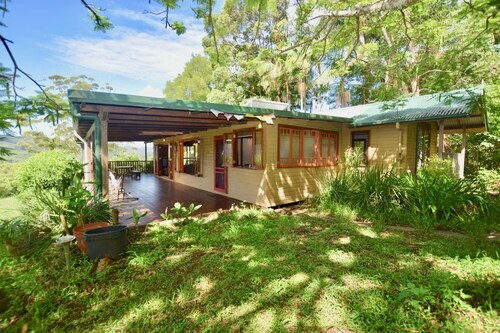 Situated in Clunes, this luxury cottage is within 12 mi (20 km) of Bangalow Market, Bangalow Historical Museum & Tea Rooms, and Whian Whian State Conservation Area. Killen Falls and Macadamia Castle are also within 12 mi (20 km). You’re on the go every day, working hard and making that cash. But if you haven’t taken a holiday in months, it’s time to rethink your life choices. 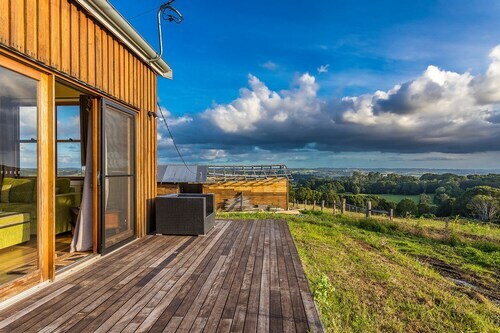 It’s time for you to look into Byron Bay holiday cottages and take a day off—or ten days. Because once you’re all settled in, you won’t want to leave. Words like charming, adorable, and delightful probably come to mind when you think of country cottages, set in lovely little towns the world over. The same applies to beach cottages—just replace the rolling hills with lapping waves. 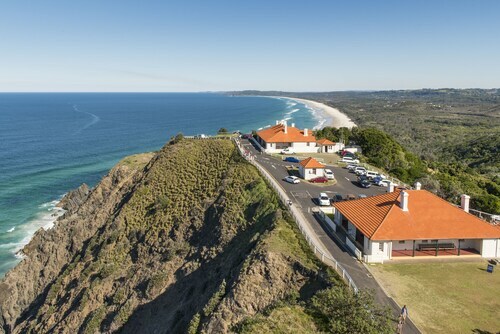 And while Byron Bay cottages can’t be in every setting at once, you’ll find that the stunning scenery here is better than all the others combined. Cottages are the perfect retreat from everyday life, with serene surroundings both inside and out and that relaxed vibe that can come only from knowing everything is taken care of. 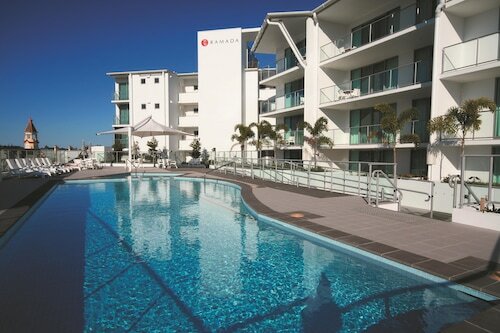 Byron Bay has an equally charming vibe, and that’s why so many travellers love it. “Don’t worry, be happy” should be your motto on your next holiday. Well, friend, in Byron Bay, that’s not just the motto of visitors; the locals are living that theme every day. 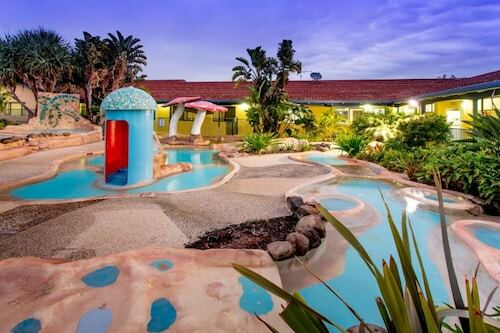 So take a break from that presentation you’re working on and make a different graph instead—of Wotif’s low prices on over Byron Bay cottage accommodation options. It’s about time you got to kick back, and we don’t mean putting your feet up at your desk.